"Over the past year, Google has worked closely with partners to create consumer products powered by Android Things with the Google Assistant built-in," the Android Things team said in a blog post today. "Given the successes we have seen with our partners in smart speakers and smart displays, we are refocusing Android Things as a platform for OEM partners to build devices in those categories moving forward." 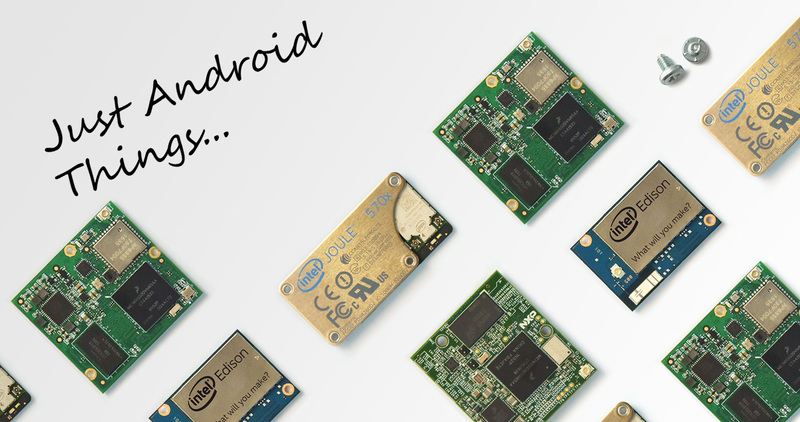 Before today, Android Things intended to support at least four System on Modules (SoMs) for use in production IoT devices — the NXP i.MX8M, Qualcomm SDA212, Qualcomm SDA624, and MediaTek MT8516. Put simply, manufacturers could create devices using these boards, and they would be guaranteed support from Google. As of January 25th, all four SoMs were listed as "Coming soon" on the Android Things website, so it seems unlikely that any Android Things devices ever entered production that weren't Google Assistant smart speakers or smart displays. Presumably, Assistant-powered devices use other hardware platforms. Google didn't state a reason for why Android Things was moving away from general purpose IoT devices, but increased competition could be one factor. It would have been fighting against Ubuntu Core, RIOT, Microsoft's Azure Sphere OS and Windows 10 IoT, and other custom-built solutions. Google has yet to release any hardware running Android Things — even its own smart display uses a custom Chromecast-based OS. Android Things is still available on two developer kits — the NXP Pico i.MX7D and Raspberry Pi 3 Model B. However, now that there is no upgrade path to production-ready hardware, it's somewhat pointless for companies to develop software for Android Things.